As of June 30, most VA hospitals reported lower death rates than non-VA facilities, according to a USA Today analysis. The analysis looked at how 146 VA medical centers compare to other healthcare facilities using a variety of factors. The analysis is based on scores of spreadsheets the VA has published in recent years that contain comparisons of its medical centers to non-VA averages on emergency room wait times, infection rates, patient survey results and more. In addition to reporting lower death rates, many VA medical centers also performed better on preventing certain post-surgical complications, including blood clots. 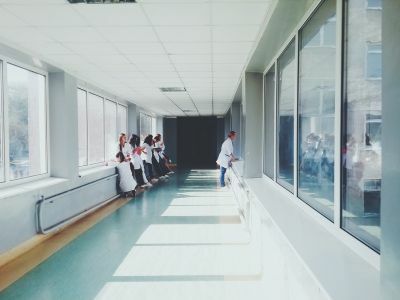 However, at about 70 percent of VA hospitals, the median time between arrival in the ER and admission was longer than at other hospitals, in some cases by hours, the analysis found. Additionally, dozens of VA hospitals had higher rates of preventable infections and severe bed sores. Almost every VA performed worse than other medical providers on patient satisfaction surveys. VA spokesperson Curt Cashour said certain veterans may have conditions that make them more susceptible to complications, and "caution should be exercised" when drawing conclusions from the comparisons. The VA "does recognize the need to improve the speed by which it can admit veterans to the inpatient unit," but non-VA hospitals also struggle with long waits, Mr. Cashour said. "VA provides some of the highest quality healthcare available today."